The video puts this in more visual terms, but basically, a seller can respond to a buyer's offer with changes - a "counter" - that improves the terms. You need to put yourself in their shoes and construct a modified offer that you think they might take that meets more of your needs. Then it's their turn - accept, reject, or construct yet another counter. It's an efficient market process, but beware: clauses and costs matter. 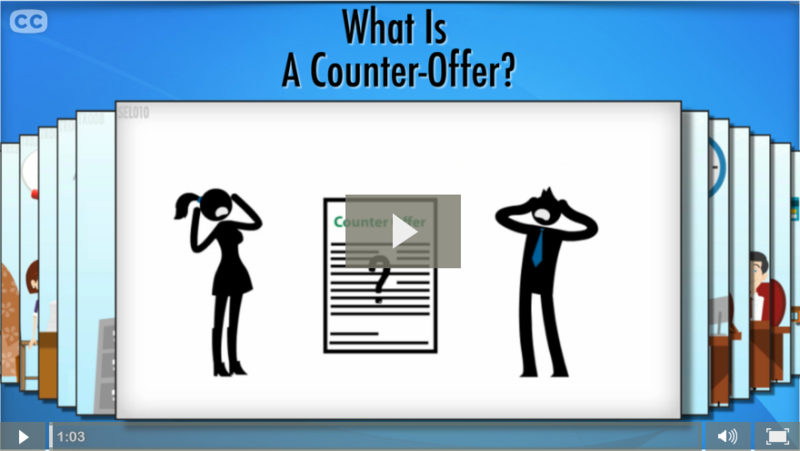 Your broker should be closely involved in constructing a counter. Successful bargaining is best done with a win/win approach where each side is meeting their biggest needs and compromising others to reach an agreement. Remember that outside conditions like interest rates, and supply and demand, will keep evolving so you'll need to be patient but decisive to craft an counter-offer that works for both sides.